Tory Housing Minister Brandon Lewis has announced the third round of successful bidders in the government’s Build to Rent fund. ‘Build to rent’ or PRS (Private Rented Sector) funding is the Conservative government’s answer to the housing crisis, with which it subsidises the building of homes for private rent, but without imposing constraints on how much those rents will be. Last year we reported that Delancey had let slip that its new PRS homes at the Elephant were expected to fetch on average £375pw for 1-bed and £500pw for a 2-bed. 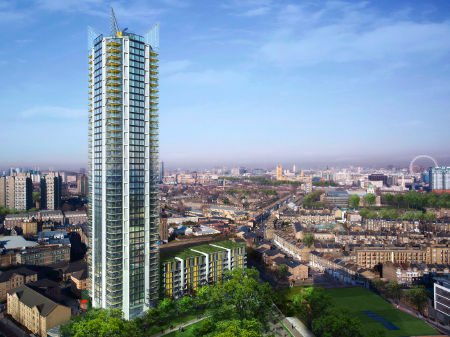 One of the successful bidders this time round was the Richard Rogers designed, 44-storey London 360 Tower, which received £45m funding for 274 new PRS homes on the site of the former London Park Hotel at Newington Butts. 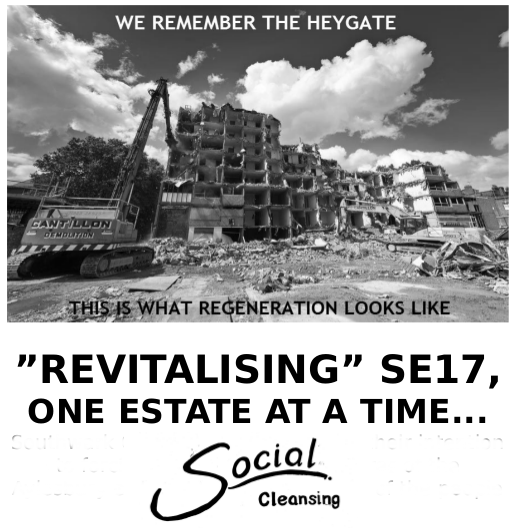 We blogged previously about the ‘dreadful irony’ of this site being bought (under threat of compulsory purchase) by the government’s regeneration agency with £18m of public money, specifically for the purpose of building affordable housing. Now we are seeing an additional £45m being poured into this development which won’t contain a single affordable or social rented home. In summary, £63m of public funds is being spent to acquire and develop a 44-storey tower comprising what is openly described by the scheme’s promoters as “274 private homes”. That’s a cost of £230k per home when the money could clearly be better spent elsewhere; as we have shown, council homes on the Aylesbury estate could be brought up to Decent Homes Standard for a sum of just £20k per dwelling. Most housing associations have snubbed the ‘build to rent’ funding on the grounds that it doesn’t create housing affordable for those in need. As usual, Notting Hill Housing saw pound signs and was one of the first to apply. So far it has been allocated £17m in the first round of funding to build 181 PRS homes in London. We don’t know how many of these will be on the new Aylesbury, but we do now know that despite its insistence that there would be no ‘affordable rent’ homes on the redeveloped estate, the Mayor has now confirmed that he has allocated funding for at least 450 new homes on the Aylesbury at - guess what? affordable rent. We blogged in February about Labour Lord Adonis’s visit to the Elephant & Castle and his manifesto for the destruction of the council estates. 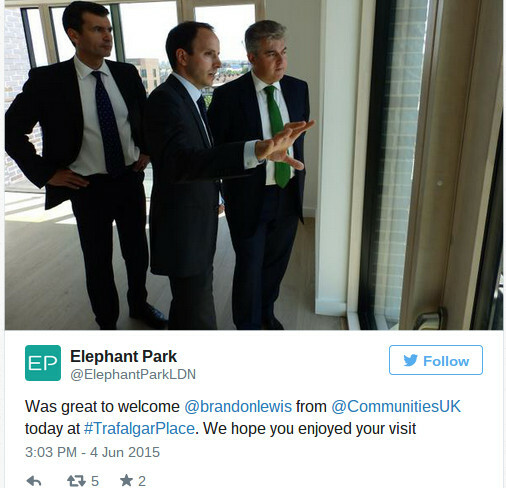 At the beginning of the month Housing Minister Brandon Lewis visited phase one of the redeveloped Heygate and made a similar call, in what appears to be a race to the bottom in UK housing policy. We blogged last year about Southwark’s draft new planning policy, which praises the Heygate regeneration and proposes to roll out similar schemes across the borough. We also wrote about the assessment Southwark had commissioned from Savills, to establish which of its council estates were no longer ‘viable’. Rumour has it that this assessment is now complete but the results have not been published. As soon as this ‘disposals list’ is made public, we’ll be looking to explain to tenants & residents groups affected exactly what regeneration means. Meanwhile council leader Peter John was also being led by Lend Lease on a tour of ‘Trafalgar Place’ (phase one of the redeveloped Heygate nearing completion). Cllr John was particularly excited about the carrots growing in the new ‘community garden’, which comes with a ready-grown vegetable patch. 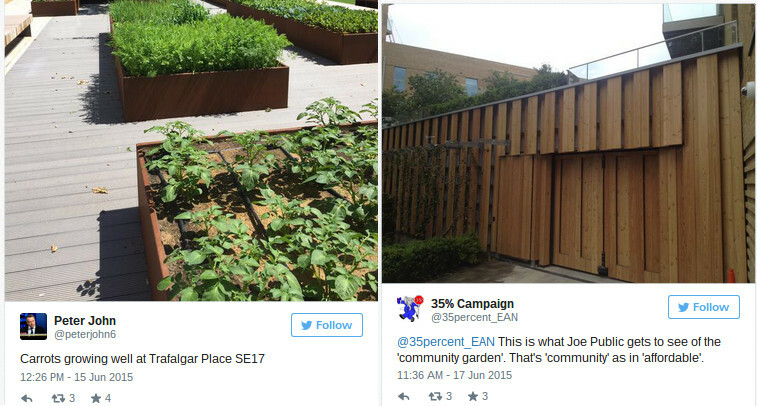 It was left to us to point out that the carrots are corporate carrots, not communal carrots, as the ‘community garden’ is situated in a raised courtyard above the parking lobby with zero public access; and, for the record, just 8 of the 235 new homes in this first phase of the redeveloped Heygate are going to be social rented homes. There will be a handful ‘affordable rent’ homes and a number of shared ownership flats (if you earn an income of £57k). On a site that was sold at a loss to developers and home to an established community now scattered to the wind, the carrots are a perfect example of what has been termed ‘urban parsley’: ‘a green garnish used as a decoy to distract from what’s really going on’. One of our new Southwark MPs Helen Hayes appeared in an article in Private Eye last week. Helen took over from Tessa Jowell as MP for Dulwich and West Norwood earlier this year, but has been a Southwark councillor since 2010. The Eye took issue with her simultaneous role as boss of an architecture firm, which has not only been writing up council planning policy, but was also part of the Lend Lease consortium that had won the bid for the Elephant & Castle regeneration and has contracts with Lend Lease elsewhere. Her firm has also been involved in a number of controversial developments in the borough, including the Ministry of Sound (Eileen House) development and the Aylesbury estate regeneration. 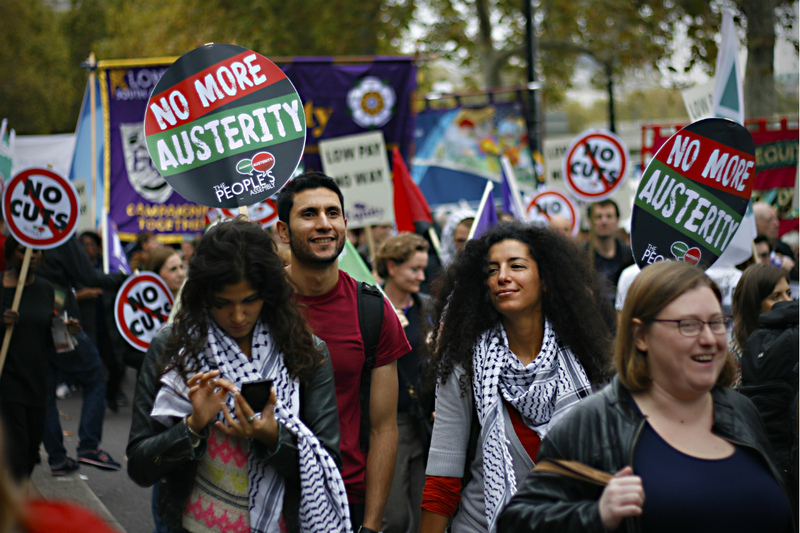 Meanwhile our very own Cllr Fiona Colley was spotted campaigning for more affordable homes and against austerity in this vice article. After selling off the Heygate and Aylesbury, former investment banker Cllr Colley stepped down from her role as Cabinet member for Regeneration last year, to take up her new role as Cabinet member for Finance, Modernisation and Performance. We wonder whether she has had a change of heart, or - having snapped up two new-build flats in the Canada Water regeneration1 - the homes she is marching for are of a different tenure to those her fellow marchers have in mind.. Enjoy reading this blog post? Subscribe to our mailing list and receive our latest blog posts delivered direct to your inbox.